Portland is in full bloom this time of year, and with a bright array of dye plants at our fingertips. 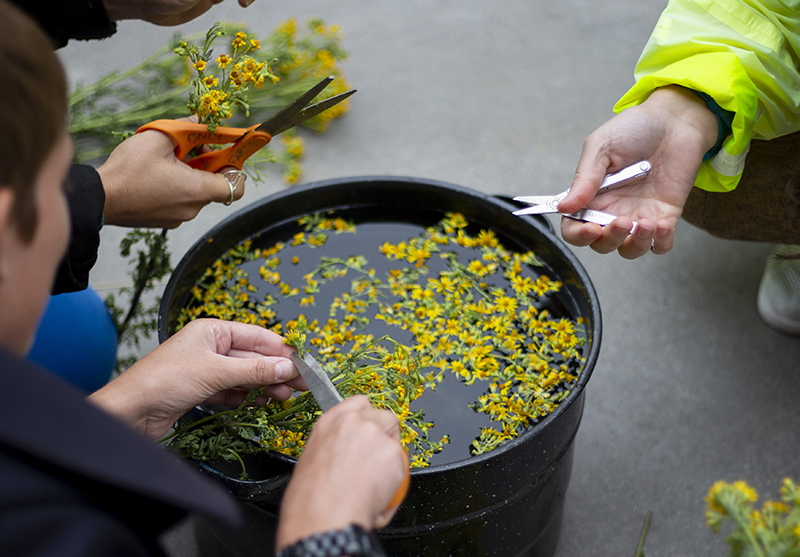 This one-day workshop leads students on a tour of unexpected color from garden plants, weeds and trees commonly found around the city, with hands-on lessons in plant processing, preparing fibers, and of course, dyeing! We will use non-toxic mordants, plant & animal fibers (cotton, wool, silk) to create a journal of swatches and samples, recording the summer color of Portland, OR. Students will also take home a dyed silk scarf and cotton bandana.